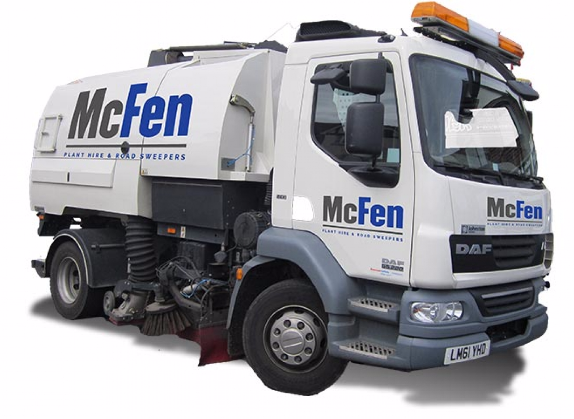 Our Fleet: Discover the machinery offered by McFen Plant Hire Ltd.
Our fleet consists of Road Sweepers, Mini – Midi Excavators (3 – 8 tonne), Tracked Excavators (13 – 26 Tonne) and Wheeled Excavators 'Rubber Ducks' (14 Tonne), Hiab / Lorry Mounted Cranes (32 Tonne), Beavertail Plant Lorry 4 & 6 Wheel and a Low Loader. We operate a 24hr Plant Hire Service in London & the South East. Depending on the availability of the plant hire equipment you require, we can supply it to you within 24hrs providing your site is within London or Essex, Hertfordshire, Kent, Middlesex, Suffolk, Surrey and Sussex. In addition to routine maintenance, our plant hire equipment undergoes pre-delivery inspection to ensure that it is fully operational on arrival at your site. In the unlikely event of mechanical failure we also provide a rapid response support service. All of our operators are trained & qualified to the highest standard and we are also Crossrail compliant. Please contact us for details of our plant hire service and for a cost effective plant hire quote. 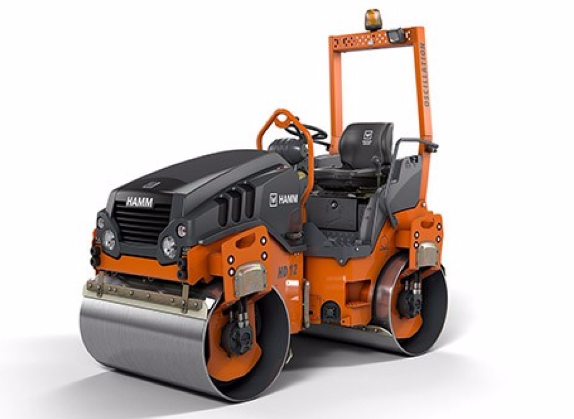 Our rollers are Hamm HD12VV 120 Ride on Articulated Tandem which are reliable, powerful machines to meet your small and large compaction needs. From excavation to landscaping and civils. The rollers come complete with a Seat Belt Green Beacon System and are compliant for working within the Greater London Low Emission Zone. .
Our Excavator fleet ranges from 3 Tonne up to 26 Tonne. 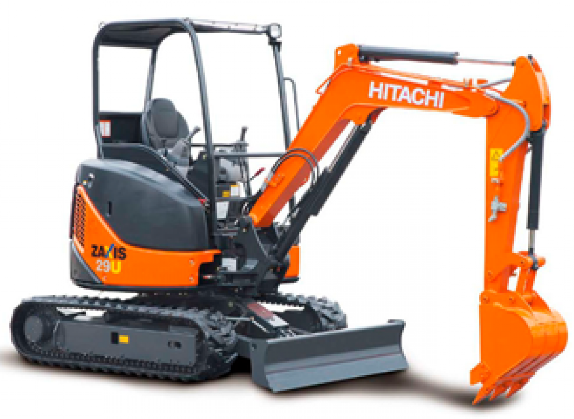 Our tracked excavators are all available upon request with rubber or steel tracks as well as Zero Tail Swing. We also run a fleet of 14 Tonne Wheeled Excavators (Rubber Ducks). 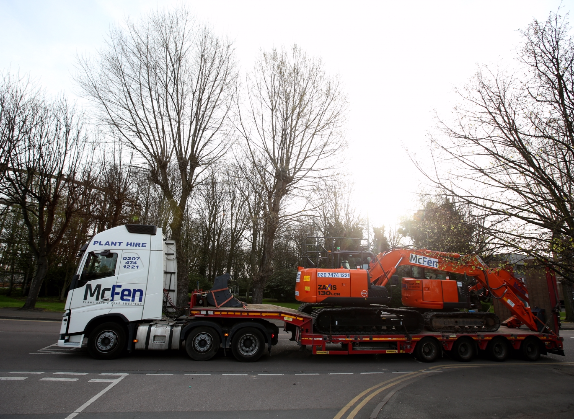 All McFen Plant’s Excavators are Fitted with a Double Locking Quick Hitch as standard at no extra cost. We can supply 360 Degree Camera Systems if required. All of our fleet come with a Seat Belt Green Beacon Kit fitted as standard. We can also offer other services like Bio Oil for sites working near water. Our fleet is compliant for working within the Greater London Low Emission Zone. .
Our modern fleet of road sweepers have been chosen and equipped to meet the highest standards in performance, environmental and safety. As with all our fleet of vehicles our road sweepers are Crossrail Compliant, that is to say that all of our vehicles are fitted with the following safety equipment as standard, so no matter what project you are working on you can expect the safest vehicles in their class every time. . If you require transport we can supply you with Hiab / Lorry Mounted Cranes (32 Tonne), Beavertail Plant Lorry 4 & 6 Wheel and a Low Loader. We operate beavertail lorry mounted crane made by Effer (The Effer 310.00/4S). Our lorries come with 4 extensions and heavy duty winch facilities..
Our Wheeled Dumper fleet ranges from 3 Tonne to 9 Tonne. 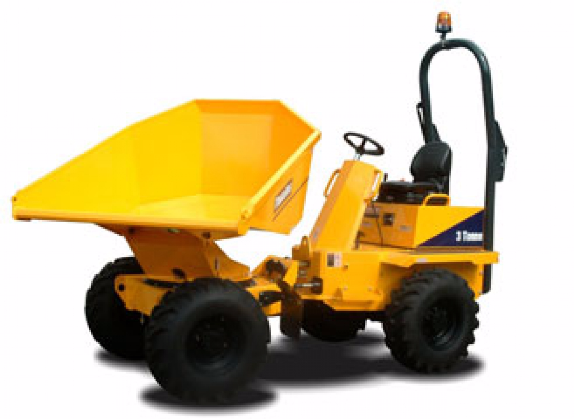 The dumpers are available in swivel or forward tipping. They come complete with a Seat Belt Green Beacon Kit. If required we can supply a VCAS Warning system and Bio Oil. 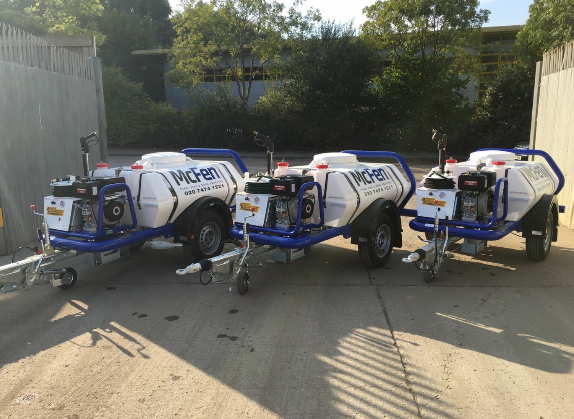 Our fleet is compliant for working within the Greater London Low Emission Zone. .
Our fleet of road towable bowser washer are the ultimate self-contained pressure washers providing a portable, robust and reliable means of washing-down and cleaning site equipment, plant machinery and vehicles. They are also well suited to street and building maintenance. The model of jet wash we run are the Brendon 3000PSI Diesel Dowser Washer. .